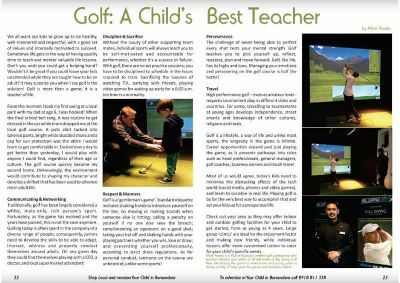 Mark Varela , a golf professional who teaches at Big Swing Golf, Kew, shares how golf teaches children some great lessons for life. First published in Your Child in Boroondara. Click on image on right to download and read article.